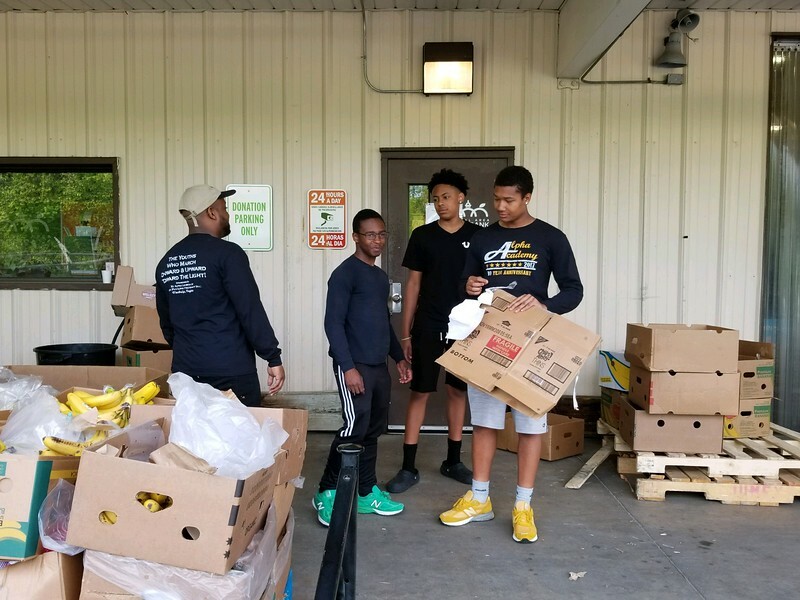 On May 12, 2018 Approximately fifteen (15) young men traveled to the Lorton branch of the Capital Area Food Bank and participated in a Food Bank Community Service Event from 8am -12pm. Volunteers assisted with packing bags and boxes of monthly supplemental groceries which supports over 10,000 seniors served by our Grocery Plus and Senior Brown Bag programs, as well as bags of food for the 2,500 children who receive food through our Weekend Bag program, which ensures they won’t be hungry when school meals aren’t available. A lot of times, our youth participate in events and truly do not understand the impact but on May 12th, these young men made a difference and should be applauded for their volunteer service.